Eco Friendly Pure Clear™ Horizontal Badge Holder. 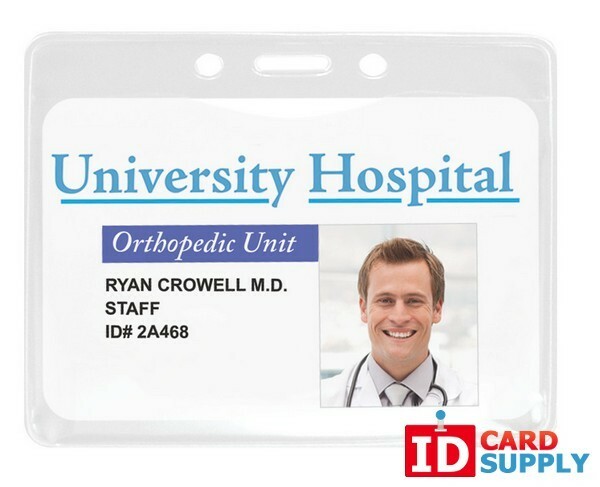 This badge holder is made without any environmentally harmful chemicals and will protect your ID badge from scratches or scuffs. It has slots for either a lanyard, clip, or chain attachment. Wholesale priced in packs of 100.